Incoming! 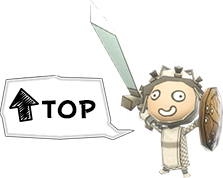 It’s time for Castle Defense! 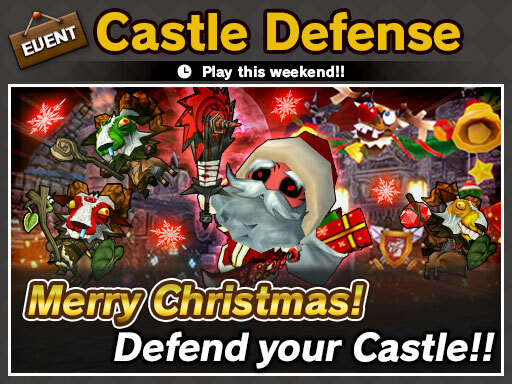 This weekend’s Special Game is Castle Defense! Castle Defense is a game mode in which you and your allies protect your castle from wave after wave of monsters! Prepare for long battles full of suspense, and test your mettle against increasingly stronger enemies! After each wave, you will receive meat, an item exclusive to this game mode. By eating meat, you can improve parameters such as attack damage and the strength of tactical weapons. Teams that manage to battle through enemy waves fast enough will find themselves facing a revived Big Boss… and he’ll be even stronger than before! If you’re looking for a challenge, hard mode won’t disappoint! But keep in mind: only the truly prepared should dare to challenge hard mode, as even the strongest veterans may find themselves overwhelmed! Last but not least, Happy Stars and Score you receive in Special Game are increased by 50%!